Today’s cloud machine learning platforms are making artificial intelligence (AI) much more affordable for businesses, however, before you invest in this exciting technology, you first need to have a thorough understanding of the challenges that come with it. In this post, we’ll take a look at cloud machine learning and the challenges that it brings in order to help you make an informed decision about its use. Machine learning (ML) is the ability of computer systems to learn things. In other words, the computer can acquire new ‘knowledge’ by itself without it having to be programmed. ML is the next stage of evolution for artificial intelligence – a computer that can make itself more intelligent through its own processes and without human intervention. By applying complex, pattern recognition algorithms to data, ML is able to produce highly accurate and much sought-after predictions and decisions. Machine learning is taking off in a big way. According to Deloitte Global, 2018 will see a doubling of companies using the technology compared to last year, and this is likely to double again by the end of the decade when the AI market, which includes machine learning, will be worth £40 billion. Currently, over six million developers are using machine learning with an addition 6 million planning to begin using it by mid-2018. The vast majority of this work is taking place in the cloud, which has the ideal environment for ML. Cloud ML platforms, also known as ‘Machine Learning as a Service’ (MLaaS), are ideal for applications that need to analyse Big Data – especially if the data and the platform are on the same network. Cloud is an affordable and secure solution for mass data storage and its scalability means MLaaS users can have all the resources they need on a pay as you go basis, making it a cost-efficient platform. Early adopters of this technology are predicted to be the financial and retail sectors, who are expected to use ML to tackle fraud by analysing their transaction data. Online retail companies may also benefit from ML predictions about market trends and changing shopping behaviours. This can improve their ability to stock better selling products, leading to increased sales and a reduction in the amount of unsold stock left on the shelves. Additionally, cloud ML is likely to be a fit for stock trading, business intelligence, IT security and for analysing risk. There are, however, instances where cloud machine learning is not the best solution. This is the case where data is remote and where instant intelligence decisions are required. Anyone planning to create a self-driving taxi company in the future, for example, may find that MLaaS doesn’t deliver the goods when the car’s data needs to travel to the cloud, be analysed, and then return with a driving instruction. In the time this takes to happen, you’ll have likely missed that right turn. With large scale remote data transfer being an issue, this does cause problems for using ML to make decisions for the control of Internet of Things (IoT) devices – which is unfortunate as the two technologies are ideally suited. Perhaps the main benefit of cloud machine learning is its affordability. MLaaS provides companies with a high-performance infrastructure that would, for most, be too costly to create in-house. Machine Learning apps demand significant processing resources and the systems and power needed for this are not cheap. Public cloud, however, removes this barrier and can put smaller companies on a level playing field with their much bigger competitors. Less expensive data storage is another advantage. As organisations continue to amass vast quantities of data, transferring that data to a public cloud is seen as a much more economical solution than letting it clog up an in-house datacentre. Of course, If data is transferred to the public cloud in order to reduce costs, it makes sense in these situations to use MLaaS. This would shorten the amount of time it would take to process the data and thus reduce costs even further whilst speeding up performance. One other advantage of MLaaS is that the development tools it provides can make it simpler to embed ML in applications. The lack of specialist ML app developers means there is a shortage and those that are available are paid very highly. MLaaS development tools, therefore, can be one way to keep these costs down and help overcome the skills gap. Beyond cost, MLaaS has other benefits, too. Developments in machine learning mean that it can be a tool that all people can use. Google, for instance, have introduced AutoML, which aims to make artificial intelligence and ML accessible to all business professionals, even those unable to code. And in an age where speed is everything, it is now possible for companies to access cloud-based ML solutions very quickly. By combining cloud services and automated ML, it is possible to get companies set up in minutes, enabling them to create enterprise-class predictive models and learn critical insights before their competitors. Cloud machine learning platforms do pose challenges for the organisations that wish to adopt them. One of these is the above-mentioned skills shortage. According to Google, very few businesses have access to the expertise needed to develop advanced machine learning models. And developing these models is a time-intensive and highly complex process. Another issue is vendor lock-in. Investing so much time and effort into developing your cloud-based machine learning system, especially when you use the same vendor for your data storage, can mean that migration becomes very problematic. This could mean you are at risk from increased costs and other issues which the service provider may have. Data Integration may also cause issues for ML. If you need data that comes from a range of sources, gathering and transforming it into a usable format can be a challenge. MLaaS platforms are not your only option. Many organisations use open source machine learning tools or opt to buy-in predictive analytics and machine learning solutions from third-party specialists. 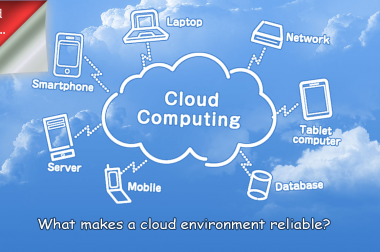 The software these provide is not specifically designed to be used in the cloud and thus can also be deployed in-house. Other applications are developing ML capabilities, too. You may discover that your security, business and marketing intelligence apps, and your CRM, eCommerce and other software already have ML capability. Consequently, you might not need to develop a specific ML app for your own use. Cloud-based machine learning offers many benefits to enterprises. Beyond the business advantages of machine learning itself, moving to MLaaS can provide significant savings, cost efficiencies and improved processing performance. However, there are issues, particularly the skills shortage. However, with such demand and such well-paid posts to pick and choose from, it won’t be long before ML becomes a magnet for IT talent. 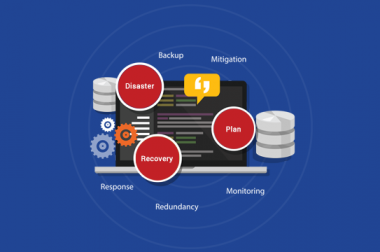 what makes an environment cloud read?